Look to rental homes and condos for weekly or partial week rentals with most check-ins on Friday, Saturday and Sundays. Some rentals allow for weekday check-ins, ask your rental provider for options. You can make it easy on the whole family by renting additional items like towels, linens and beach chairs. You’ll need to show ID. Most rentals require you to be at least 25 years old. 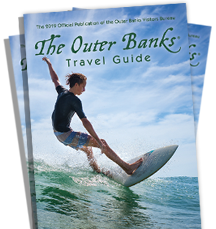 Please view the videos below to help answer your questions on how to rent the perfect vacation home on the Outer Banks! Always feel free to call your property management company or the Outer Banks Visitors Bureau; we are here to assist you in a vacation of a lifetime.